Most financial pundits on TV have ulterior motives… They're either selling gold, or have a strong political bias about the markets. Fortunately, Cullen Roche is one of the “good guys”. 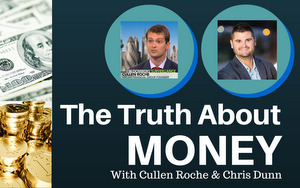 He's offering a pragmatic way for the average person to understand the truth about money, the Fed, and investing. Cullen started his own private investment partnership at the age of 25, and is the founder of Orcam Financial Group. He's the author of one of my favorite books about investing called “Pragmatic Capitalism”. He also runs the popular blog pragcap.com. How To Make $502,000 In 30 Days Through Crowdfunding Thank You! !